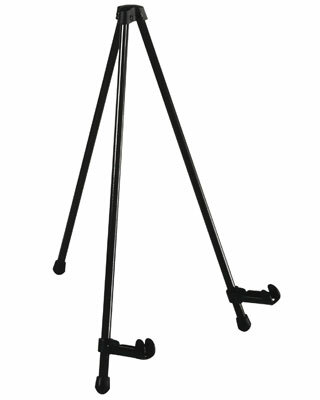 The E-Z Tabletop Easel is compact and lightweight. The simple yet versatile design allows the easel to be set up instantly and accommodate materials up to 11" wide and 14" high. The adjustable chart supports fold up for compact carrying.